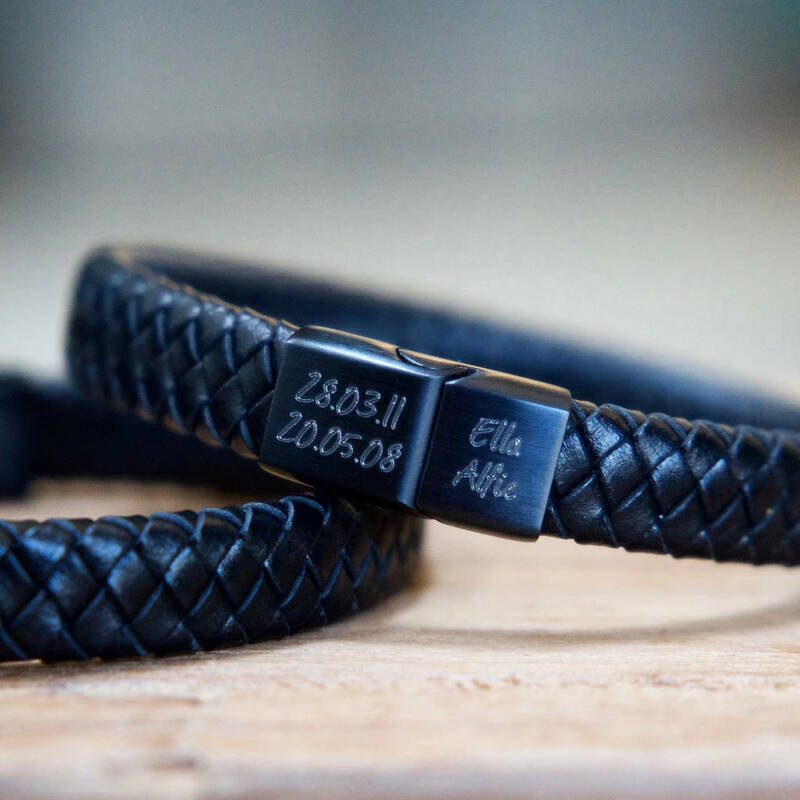 A stylish and masculine black leather bracelet engraved with a special date, names or inititals. 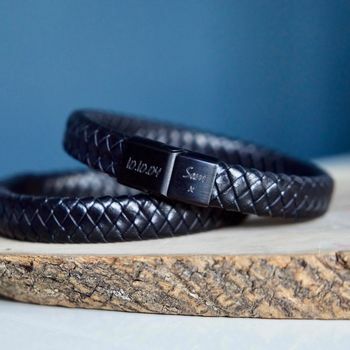 Add dates and initials to mark a special time in your life or add your children's birth dates, names or initials for the perfect Father's Day gift. Your dates will be etched onto the matt black clasp and the names may be added to the smaller side of the clasp. 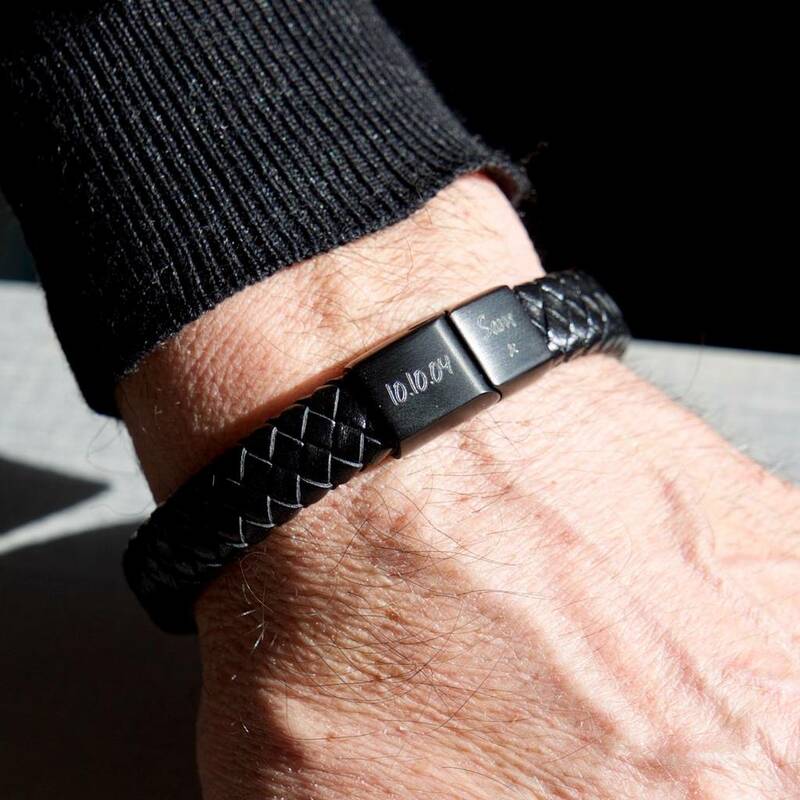 This bracelet has been designed to etch dark against black, to offer a more subtle and stylish personalisation - ideal for an understated look. The bracelet closes with a stylish slide and close gunmetal matt magnetic clasp and is available in soft black plaited leather. Do you love the feeling of receiving something special? We do and we know he does too. 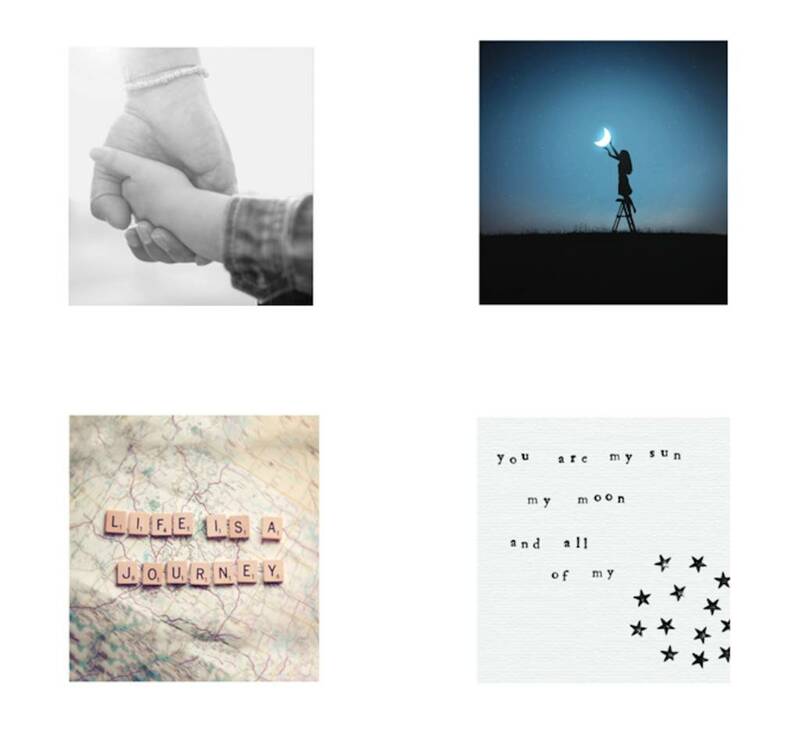 That's why we create gifts you love to give, moments you love to share. Create your gift. Choose your card. Share your moment. Your bracelet will come to you in a navy Lily Belle Man box - with your choice of polaroid card. 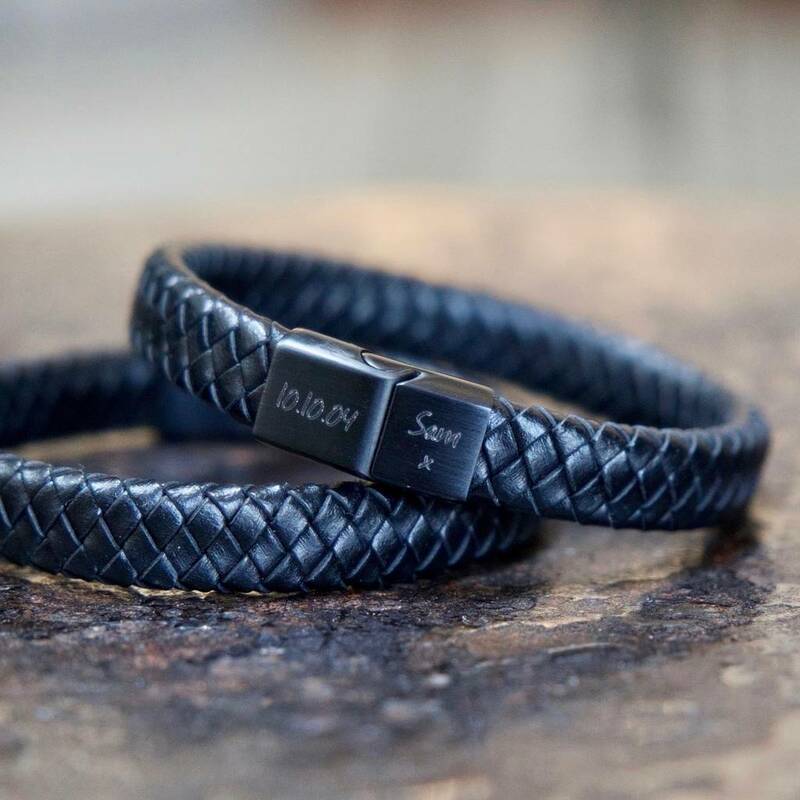 Black soft plaited leather, gun metal matt stainless steel clasp. Avoid contact with liquid. Available in one size only. Bracelet length 21cm including the clasp, leather width 1cm. Measurements may vary by up to 0.5cm. Please note that we are unable to adjust the size of this bracelet.